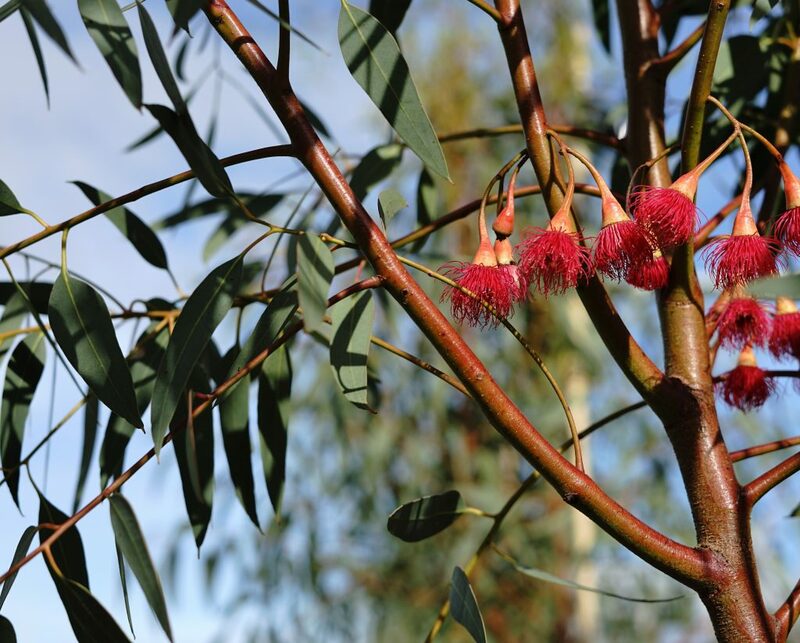 Eucalyptus leucoxylon rosea ‘Scarlet’ is a select form of the popular E. leucoxylon rosea. ‘Scarlet’ is a reliable performer and has wide environmental tolerances making it well suited for street or parkland plantings. A uniform habit and predictable mature size makes it also appropriate for domestic and commercial landscape use. ‘Scarlet’ is a small to medium tree of 8m height by 4m wide and can tolerate a range of conditions, however will perform best in full sun in well-drained soil. It has a rounded open canopy making it a perfect specimen or shade tree. An outstanding flowering period from autumn to spring makes ‘Scarlet’ a bird attracting winter wonder and a perfect addition to any native garden. Grafting also takes away the issue of foliage variation that often can be a problem with seed grown forms, while like other leucoxylon varieties ‘Scarlet’ maintains its decorative bark. Copyright Botanix Plant Supply Pty Ltd 2017. All rights reserved.